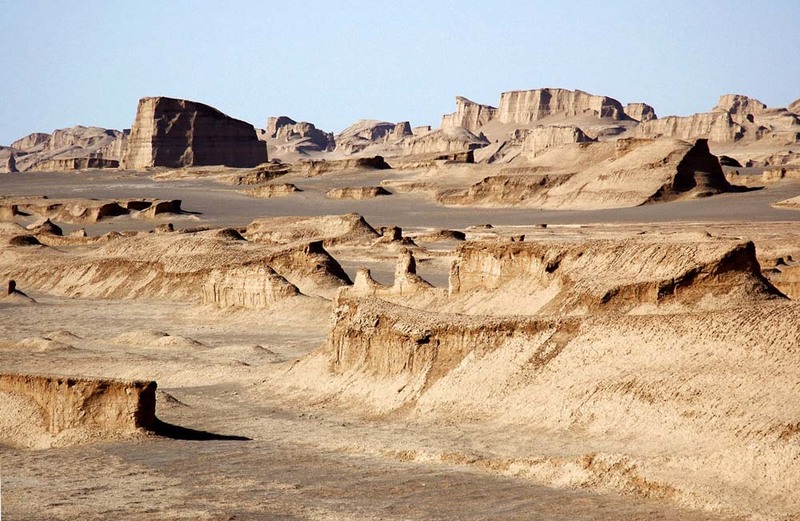 Yardang field of the Dasht-e Lut. 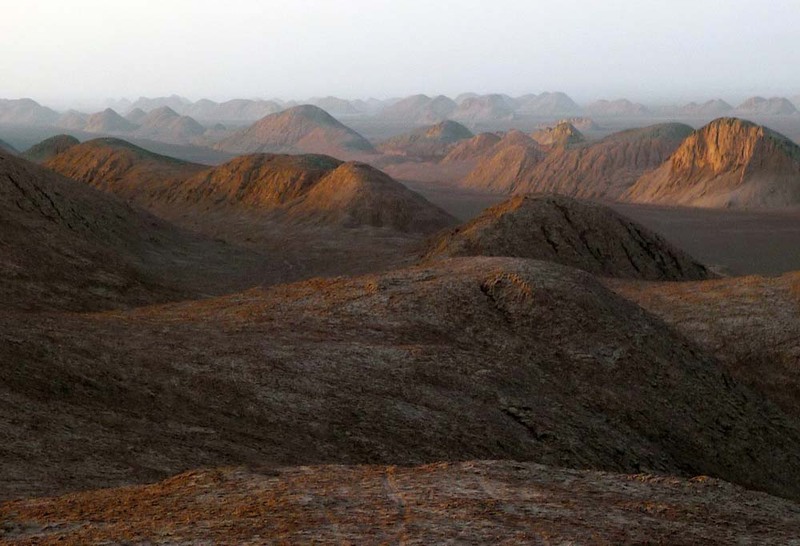 This is the largest field of wind-eroded rocks (yardangs) in the world; measuring some 50 x 100 Km.. The Lut was once a lake that turned into a mud flat with increasing aridity. 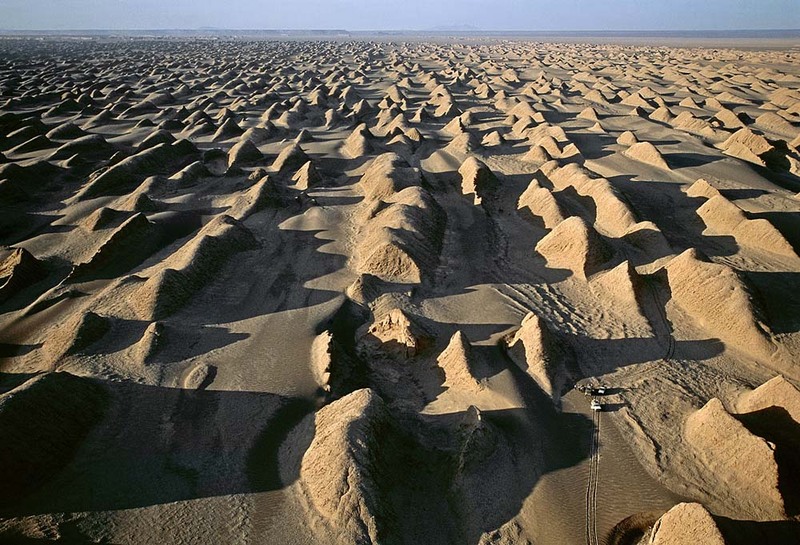 ; Now itÕs surface is so raked by winds coming from one single direction (NE) that it has been carved into 30M tall ridges separated by wind-streets filled with moving sand. 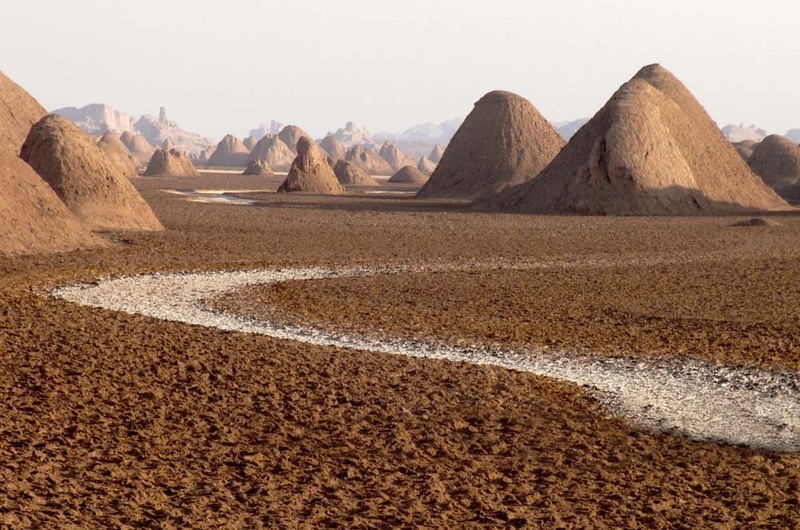 The yardangs seen here are in the NW corner of the yardang field; and are of a type the locals call kalut or village; as they seem to resemble a grid of dwellings. 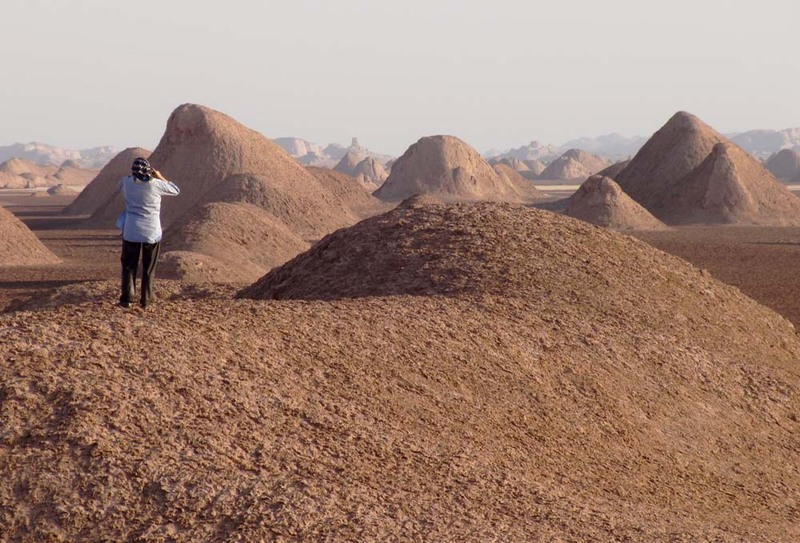 The Dahst-e Lut is one of the hottest and least visited areas in Iran with summer temperatures reaching well over 40¡C. Rainfall here averages only 35 mm/year mostly in the winter; but I was told that rainfall has become increasingly rare both here and in surrounding mountains so that the qanats are supplying less and less water. 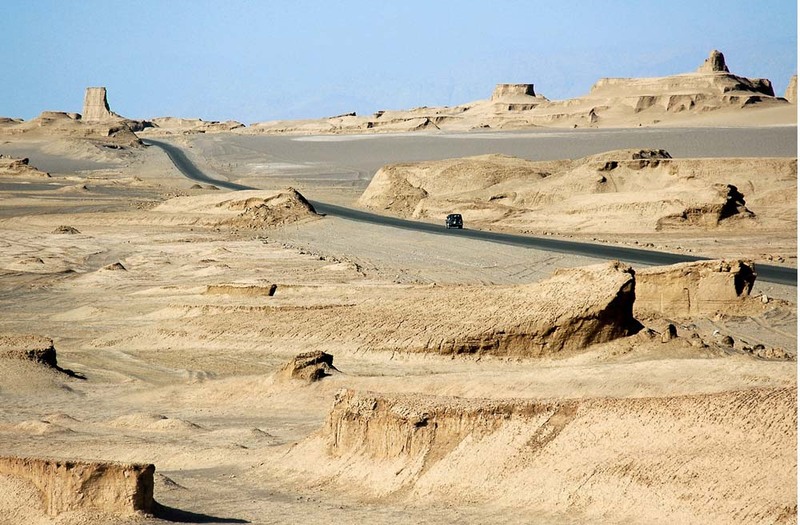 The remote corridors between the yardangs are used by heroin smugglers on their way from Afghanistan and Pakistan to Turkey; and we had a very difficult time getting permission to travel there.